The New innovation of MINI IRON II was designed to expand the creativity of every Crafter. This New Mini Iron II has special interchangeable tips that can be used for Quilting, Sewing and Crafting. 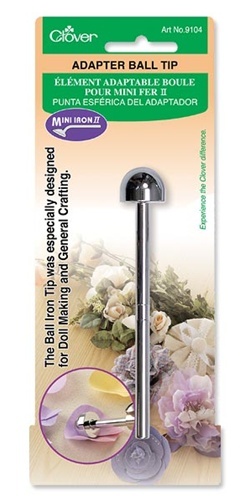 The MINI IRON II has five adaptable tips to be used for doll making, stenciling, paper crafting, hard to reach corners and all your innovative ideas.